Power electronics converters use switching elements to manipulate voltage and current waveforms. This enables the interconnection of components having different requirements, e.g., when incorporating renewable energy sources into the grid. The use of switching elements may lead to high energy efficiency. However, switching dynamical systems are difficult to analyse and design. 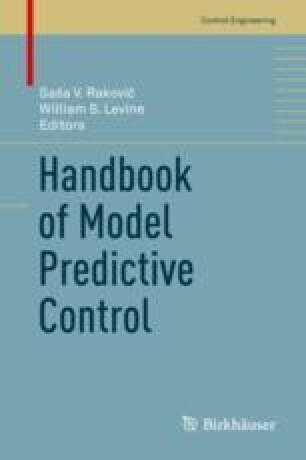 In this chapter, we outline how model predictive control concepts can be used in power electronics and electrical drives. Special emphasis is given on the finite-set nature of manipulated variables and associated stability and optimization issues. For particular classes of system models, we discuss practical algorithms, which make long-horizon predictive control suitable for power electronics applications.